People often contact me through the site (you can do so here) with various questions, and I'm always happy to reply. Some questions come around fairly frequently, and consequently I'm currently trying to find the time to get a decent FAQ section together. I think it will come in handy for a lot of people. 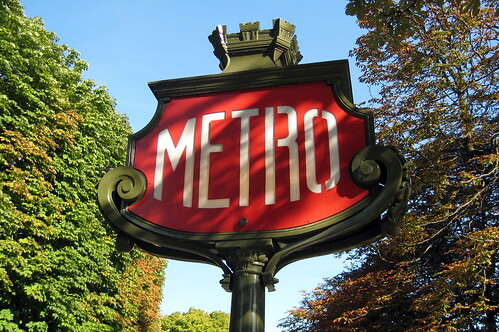 In the meantime, let's deal with one of the most frequent questions: "Are you far from the metro"? Fair enough, if you don't know Paris. So here's the reply. The long (but informative) version. 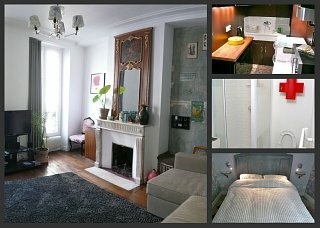 Practically nowhere in Paris is far from a métro station, and as we are slap bang in the centre of town, we have quite a few to choose from. The nearest (only just) is Rambuteau (ligne 11) although you wouldn't think so from the map. In fact, whereas one exit from the station is just next to the Pompidou Centre, there's another at the other end of the platform that is just near our street (at the corner of rue aux Ours and rue Beaubourg). 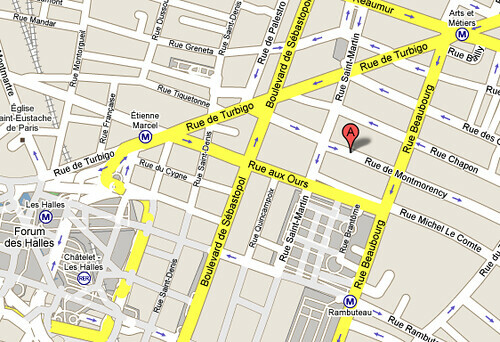 Yep, that's how close we are to the Pompidou Centre! The second nearest station is Arts et Métiers, only two minutes away, and has two lines running through it, 3 & 11. Line 11 has the most amazing design, made to look like a Jules Verne-like submersible. 5 minutes away from the apartment there's Etienne Marcel on line 4, which is cool because line 4 is direct to Gare du Nord (Eurostar, Thalys), Gare de l'Est (soon to get the new high speed airport link) and Gare Montparnasse. Handy! 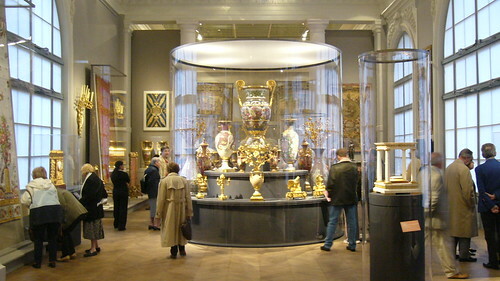 Manufacture des Gobelins, a pretty crazy tapestry and furnishing museum that has recently been renovated and reopened. So, to answer the question (short version), yes we are near a metro: 3 lines right near by, 3 more not too far (together with 3 RER lines) and 5 bus lines at your disposal. Should make getting around town that much easier.